In a 2 ltr Pressure Cooker, add water, salt and cooking oil. Close and cook for a whistle on high and switch off. Immediately release the pressure manually with utmost care. 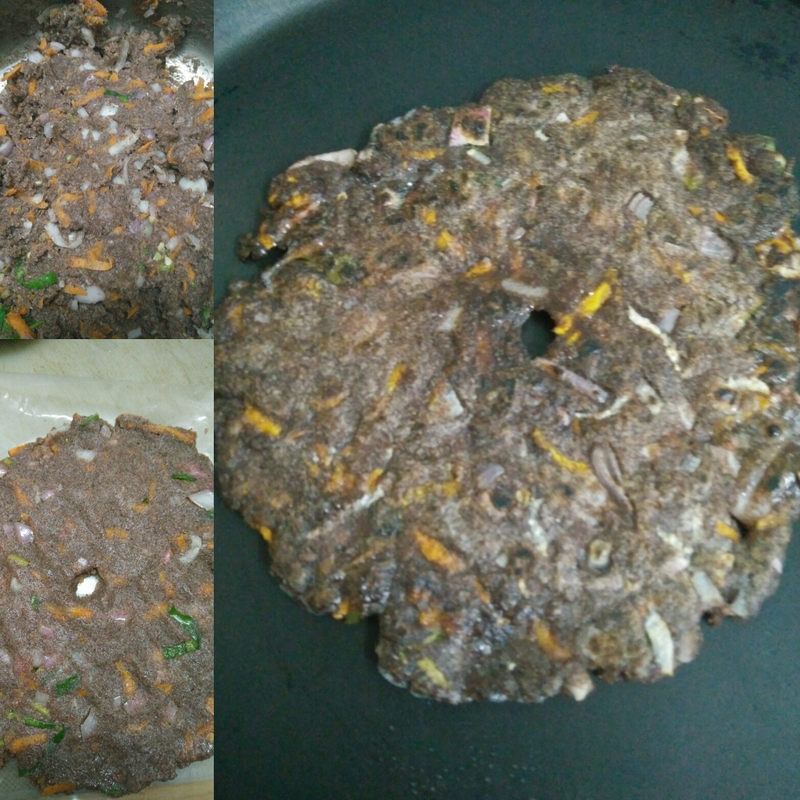 Add the Ragi flour and mix thoroughly so that there is no dry flour left. Close the lid with the weight on and keep aside for 15 minutes. Open, add the spices, veggies and knead into a soft ball by greasing your palm. Pat rotis on a banana leaf/alu foil, transfer to the tawa and cook on both sides with little oil. Serve with curd. Glad to know that you are happy with your outcome. 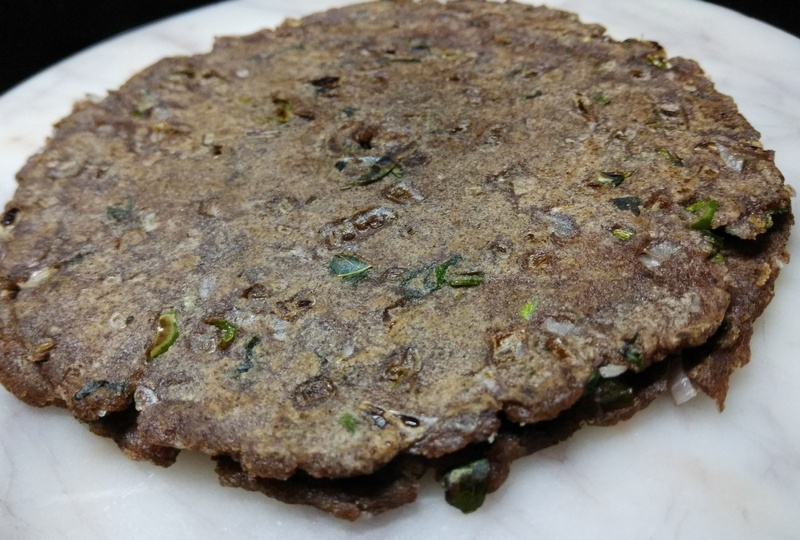 After a few trialls, you’ll be able to make perfect rotis. Thanks so much for sharing your experience. Thankyou dear maam for the easier and tastier recipe. Thanks for your visit. Hope you enjoyed this recipe. 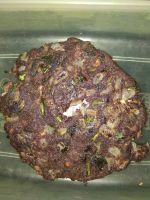 To be frank I never thought I could make ragi idiyappam. I tried this keeping a backup dish in hand so that if I fail I can use it…. 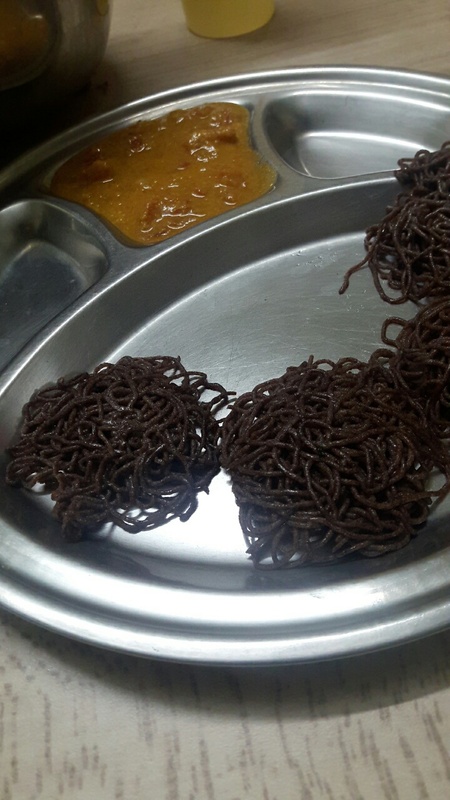 But to my wonder I followed exactly the same method and got lovelllly idiyappam…. Icing on the cake was that both my children loved it a lottttt. Thank you soooooo much mam. 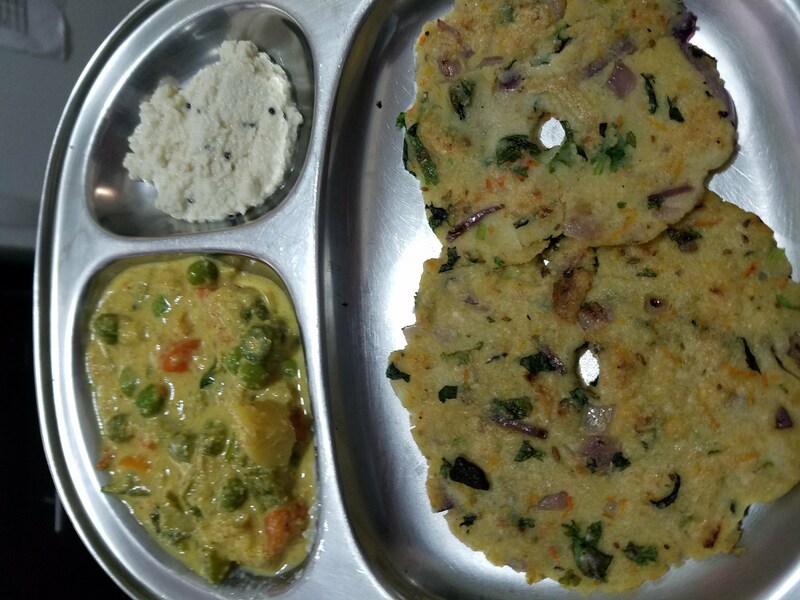 Happy to know that you got perfect idiyappams and your kids loved it. It would have given confidence to try other recipes! Please do try jowar idiyappam also. Reminded of childhood days. Thanks for providing us a foolproof method for doing this receipe. Happy to know about your childhood memories. 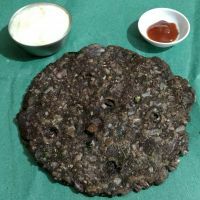 Please do try this awesome roti and share your experience. Wow!! Your roti looks exactly like mine! That is the beauty of OPOS!! Works for anyone and anywhere!! Thanks for trying and validating the recipe. 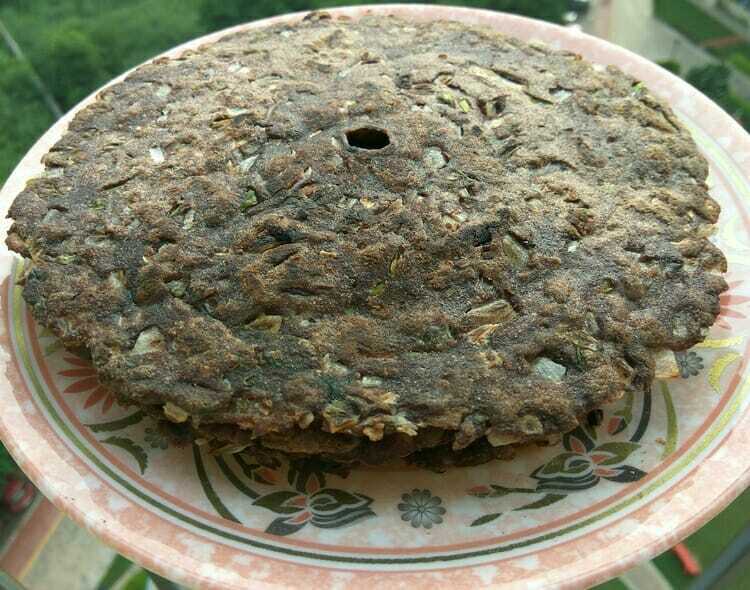 Amazing ragi roti I made today. So soft and yumm. Reliving my school days in namma Bengaluru. Thank you so much for the wonderful recipe. Your roti looks gorgeous!! I feel it is the mirror reflection of mine! Happy to see so many trying and validating the recipe. I remember the days when my mother used to make Akki or Ragi rottis.First of all it would be pushed to a Sunday as she was working. Making 3 rottis each for 6 people is a big task those days as she would pat it directly on pans (Illupachettis). She used to keep a tub of water in the sink to cool the pans for the next set of rottis. It used to consume so much fuel,time and also standing for quite a long. I feel this method of autolysis to treat any flours was there earlier for our mothers who worked so hard. Yesterday ,I tried this method and it was sooper easy to make 10 rottis within half an hour’s time. 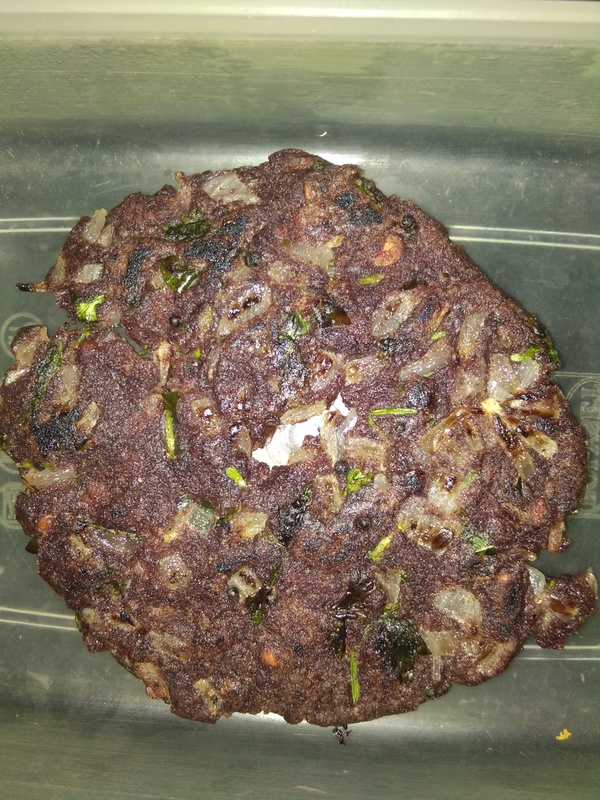 I sandwiched the ball of autolysed ragi between two greased paper leaves and gave it a press clockwise and anticlockwise with the chappathi stone. Within seconds I could get a non messy perfect round shaped thin rottis. Please take a look at the picture and I am sure each one of us like it. Thanks VV for extending the autolysis method of kneading the millets flours. Your rotis are to die for! 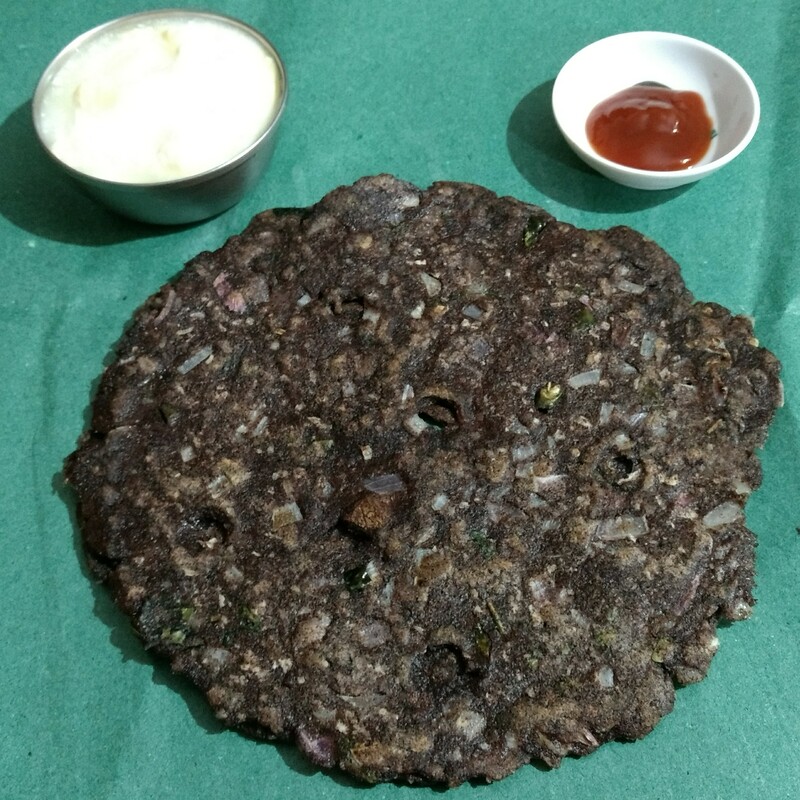 Loved the way you pressed the rotis and made a perfect circle. 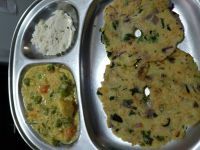 Awesome recipes Vijaya. I am blown over with millet variants. Thanks a ton dear. Thanks for visiting the site. 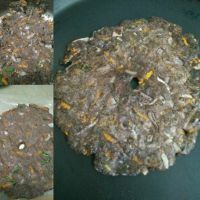 Do try recipes posted here and share your experience with us.